The color varies from flesh colored to dark brown. 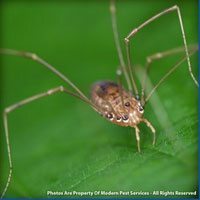 They have long legs and their body length ranges from 1/4 – 1/2 inch. The most identifiable characteristic is the dark violin-shaped mark that begins right behind the eyes. 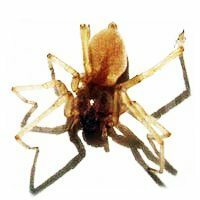 The brown recluse’s web is usually used for nesting, not for catching their prey. The nest is generally located in hidden areas that are undisturbed. Old papers, shoes or clothes that are not frequently used are common indoor places that they build their web. 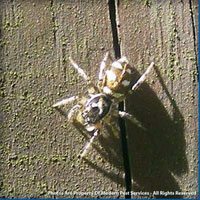 Outdoors, they can be found under rocks or in barns and sheds. 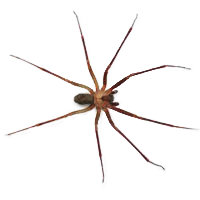 The brown recluse seldom bites unless handled or disturbed in their nests, but the bite does contain venom and is quite painful and can be slow to heal. Infestation can be detected by the presence of the skin they shed when growing. Females produce 1 – 5 egg sacs in her lifetime, with each sac containing 40 – 50 eggs. Approximately 30 days after the eggs are laid, the spiderlings will emerge. They will reach adulthood in about 336 days. The females average lifespan is 628 days. 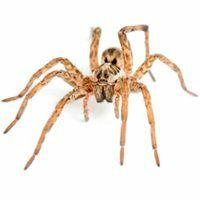 Learn more about our Homecare Green program that covers 60 common household pests – including SPIDERS! 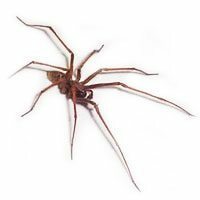 Or for more information on keeping your home spider-free, get a quote today or contact your local pest control specialist!